"Words can't begin to express my gratitude for all that you have done for my son. He has flourished under your Wilson teaching and has really become a great reader! Thank you from the bottom of my heart! He is a better person for having you in his life!" I tutor students from second grade through adult. My students' abilities and backgrounds vary greatly but they have one thing in common: they are all looking to improve upon their skills and knowledge. In addition to teaching reading using The Wilson Reading System™, I teach all core subjects. I write specialized lesson plans that include student-specific challenges, unit studies, and in some cases field trips. I teach executive functioning skills, develop analytical and critical thinking skills and teach students Morphology, the study of the formation of words. Many of my students have been diagnosed with dyslexia, ADD, ADHD, twice exceptional (2e) learners or other language or auditory processing disorders. I have a very high success rate working with these types of learners using The Wilson Reading System™. 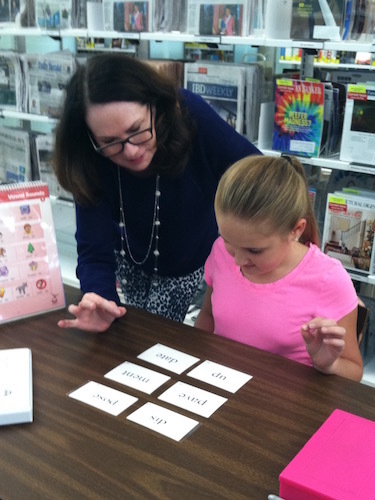 I have helped non‐readers become readers and others hone their reading, spelling, comprehension, and fluency skills. I am a Level One Certified Wilson™ teacher who has seen my students through to the end of the program. 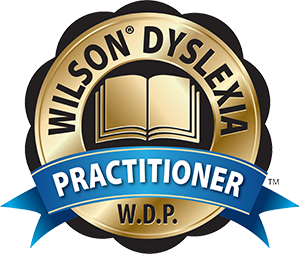 I am skilled and experienced teaching every step of the Wilson program. Adult students often find they are lacking in the essential reading, spelling, and comprehension skills needed for job placement or growth. They might have known this all their lives, but when faced with factors such as job competition, they realize these skills must be improved. We can work together to improve these skills using The Wilson Reading System™. This method of teaching makes it easy to retrain your brain for success. 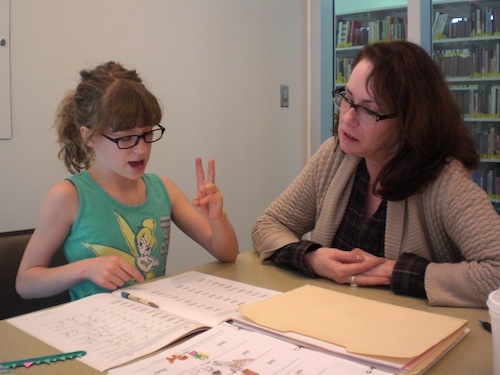 "I would highly recommend Tutoring Precisely to anyone who has dyslexia. My son has been going to Kim for two years and is currently on step 10 of 12. We have done the recommended two days during the winter and three days during the summer. Kim is great to work with in so many aspects including scheduling, patience with students, knowledge and enthusiasm for learning. Her methods work to engage the student so he knows that he has to work hard but includes some time for fun, which the student appreciates. She cares about the student's emotional side as well as academic as she often let the students vent or share experiences while they are learning. My son has improved his grades at school and has more confidence when reading. We are grateful to Kim and all she has done for him." I tutor many students that are homeschooled. The parents and teachers of homeschooled students turn to me for the expertise for their child to progress. If diagnosed with a reading disorder, or if the student responds better to a multi‐sensory approach, The Wilson Reading System™ is a great addition to the at‐home curriculum.